This article appeared in Delivery Magazine on December 2017. To view the original article download a PDF version here. The Indian auto industry is one of the largest in the world, and yet for many Australians it remains largely an unknown quantity. In our domestic market we reach total sales of around 1.1 million vehicles per year. Compare this figure with the total annual production of commercial vehicles, passenger vehicles and two wheelers in India of 25.3 million, and you start to get some idea of the local economies of scale. Mahindra and Mahindra is the third largest passenger vehicle manufacturer in the Indian market, following the lead position of Maruti Suzuki and second place Hyundai Motors India. In fourth position is Honda Cars, ahead of TATA Motors, owners of Jaguar Land Rover, followed by TKM, Renault, Ford India, Nissan and Volkswagen. Ranked as one of the 20 largest companies in India, the Mahindra Group has diverse interests in over 100 countries and was ranked by Forbes in 2009 among the top 200 most reputable companies in the world. That background brings us to the launch into Australia of the all-new “Tougher Next Generation Mahindra Pik-Up”, and we mention the background to the company simply to underline that, with the global growth prediction mentioned above, it is reasonable to expect that there’s a lot more to come in the near future. Mahindra’s Next Generation Pik-Up, with its refreshed outer body styling, new six speed transmission, increased turbo diesel power, and more stylish new interior, sets the scene for the Indian manufacturer to expand into country Australia, using its agribusiness activity as a support for its growth as a vehicle supplier through a network of 40 dealerships. The original Pik-Up was launched in Australia in 2007, and in that time it’s been a case of no news is probably good news as it has made its entrance without tales of woe of vehicle failure. Its basic design seems to have coped well with the tougher conditions of country Australia out of a total snapshot of combined global sales of the Pik-Up and Scorpio SUV that now exceeds 500,000 units. Joydeep Moitra, head of international operations for Mahindra & Mahindra Ltd., said, “We have been here in business for over a decade with a local Mahindra subsidiary and on-ground team to focus on needs and aspirations of the consumers and to build our offerings. “For the new Mahindra Pik-Up, a six-month test schedule was carried out in Australia and concluded in August 2017, clocking up over 80,000 local kilometres. 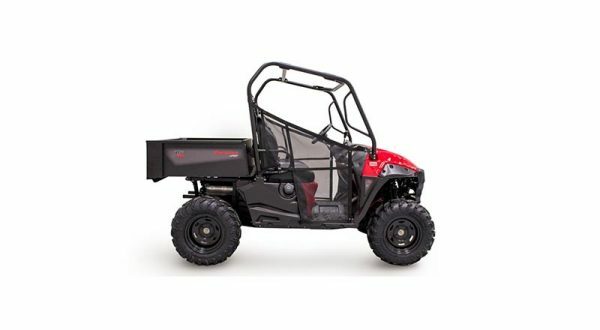 This input has helped create a Mahindra Pik-Up perfect for local conditions. This is a testimony of our commitment to developing products for the Australian market,” added Mr. Moitra. The new Mahindra Pik-Up boasts significant enhancements in its drivetrain to 103 KW of power and 330 Nm torque, an all-new six-speed gearbox, totally new attractive interiors that will appeal to a much wider customer profile, and the inclusion of ISOFIX child restraints with top tether standard on all dual-cab models. The upgrade includes a complete overhaul of the Mahindra Pik-Up’s aesthetics, with specific emphasis on the frontend styling. The vehicle comes in two specification levels: S6, which provides function and value; and the S10, which offers an SUV-like-specification yet remains within the identity of the Mahindra Pik-Up’s rugged and reliable focus. Styling has certainly improved, with the square cut previous appearance now softened through changes to the front of the vehicle where the grille, headlights, bonnet and fog lamps have all undergone a substantial redesign. The cabin of the Next Generation Pik-Up has undergone important upgrades as part of the model line-up. Perhaps the most obvious improvements are to the upholstery and the six-inch, full colour touchscreen display on the S10 Double Cab models located in the centre console. The Mahindra Pik-Up’s cabin is also comprehensively equipped. As the flagship model of the range, the S10 Double Cab benefits from useful features such as remote central locking, cruise control, satellite navigation, reversing camera and a multifunction steering wheel. Equipment upgrades now include auto wipers and intelligent headlamps, plus a fully automatic climate control system for the S10 variants. Safety features like hill descent control, ESC, ABS, EBD, rollover mitigation, airbags, crash protection crumple zones and a collapsible steering column are standard across the range. Also new are head rests and three-point lap sash seat belts for all seats along with two ISOFIX anchors in the rear seat with three top tether points for all double-cab models. The updated 2.2-litre four-cylinder mHawk turbodiesel engine with its variable geometry turbocharger now achieves a power output of 103 kW, with peak torque of 330 Nm rated from 1600 to 2800 rpm. Completing the drivetrain is a six-speed manual gearbox driving the rear wheels through a 4×4 transmission with low range. The entire range of the Next Generation Mahindra Pik-Up is fitted with an Eaton MLD (Mechanical Locking Differential) as standard. Mahindra Automotive Australia has already released a range of aftermarket accessories for the Pik-Up range that includes a genuine towbar rated at 2500 kg, aluminium, galvanised and colour-coded steel trays, winch compatible steel bullbars, air intake snorkels, interior mats and canvas seat covers, and suspension upgrades with increased ground clearance. At launch, there are four Pik-Up models available, starting with the single cab 4×4 S6 cab/chassis from $26,990 drive away, the dual-cab 4×4 S6 with factory well-sided tub from $29,990 drive away and the dual-cab S10 4×4 with factory well-sided tub from $31,990 drive away. From early 2018, the single-cab Pik-Up will be available in 4×2 S6 cab/ chassis configuration from $21,990 drive away. The pricing includes a five-year/100,000 km limited warranty with five year roadside assistance. 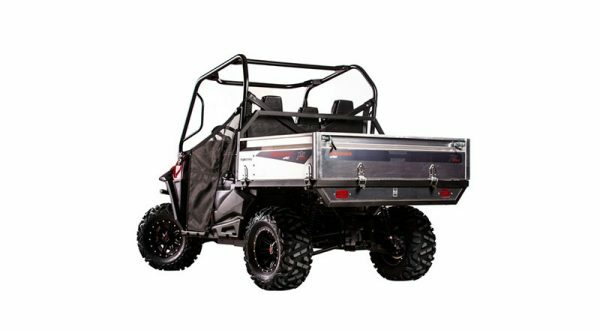 Delivery Magazine has yet to drive the New Generation version of the Pik-Up, but drive evaluations of the previous model confirmed that they were a no-frills, basic offroader that was capable of performing well in typical rural Australian conditions. Adding a more sophisticated series of upgrades and equipment can only enhance its appeal at a realistic pricing level.